The American College of Physicians has promoted Steven Weinberger, M.D., to executive vice president and CEO, effective July 19. 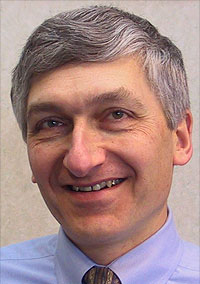 Weinberger has served as the internal medicine group's deputy executive vice president since 2009. In his new roles, Weinberger will succeed John Tooker, M.D, who announced his intention to retire last October. Weinberger has worked as the Philadelphia-based, 129,000-member organization's senior vice president for medical education and publishing since 2004. Previously, he was a faculty associate dean for medical education and a professor of medicine at Harvard Medical School. He also was the executive vice chair of the department of medicine at Beth Israel Deaconess Medical Center in Boston. Last year, Tooker was ranked No. 86 on the 100 Most Powerful People in Healthcare list, as voted on by readers of Modern Healthcare and Modern Physician. He will assume the role of associate executive vice president for one year while assisting in the organization's leadership transition, according to an ACP news release. The ACP is the country's second-largest physicians organization, behind the Chicago-based American Medical Association.